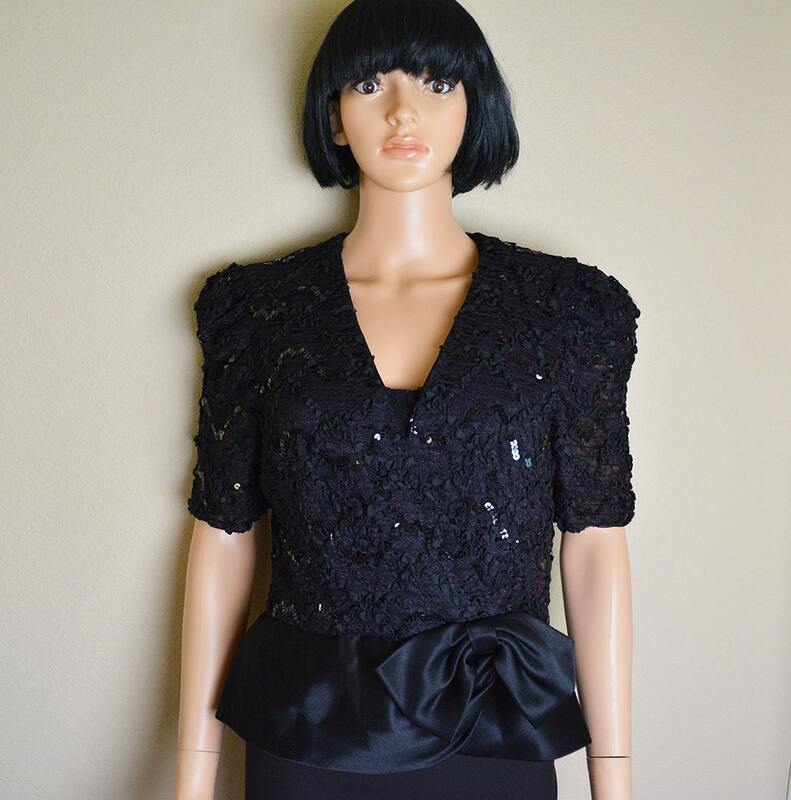 Very elegant 80s sequin top for sale. 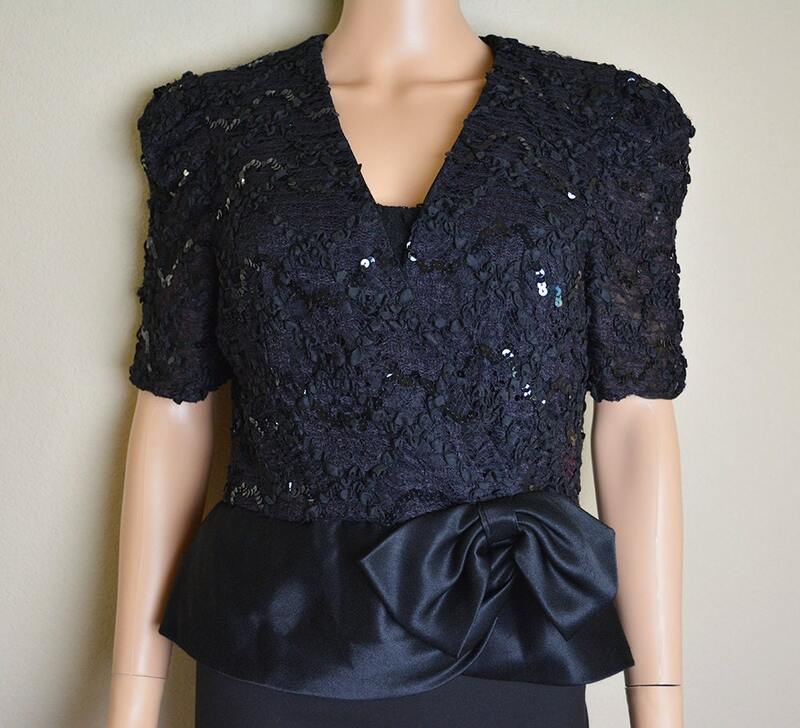 This is a lovely peplum top made of a lace material with sequins sewn into it. 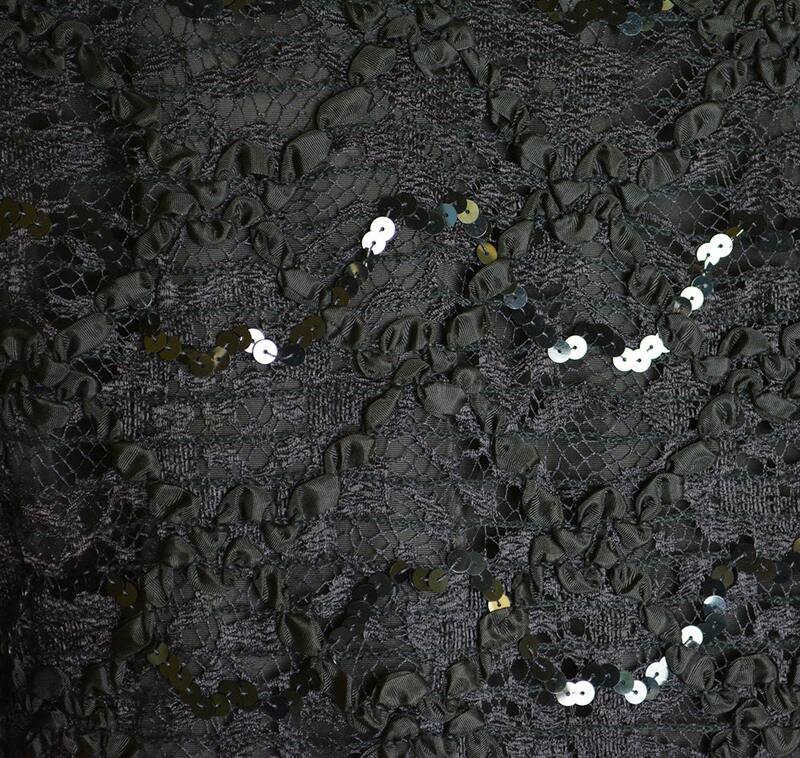 The bottom of the top is made from a beautiful black satin material. 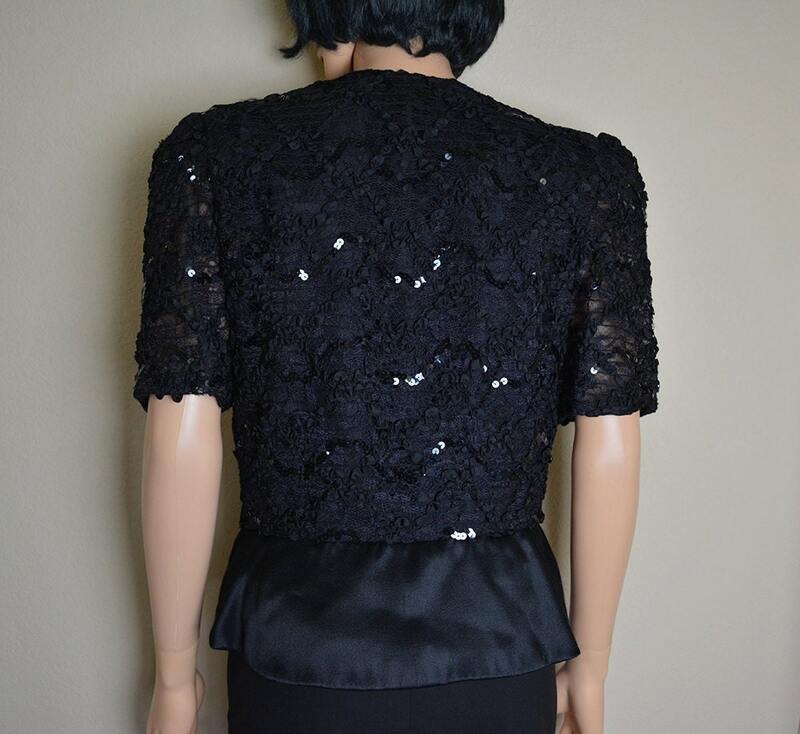 It has a plunging neckline so you may want to put a black camisole underneath like we did in the the photos. 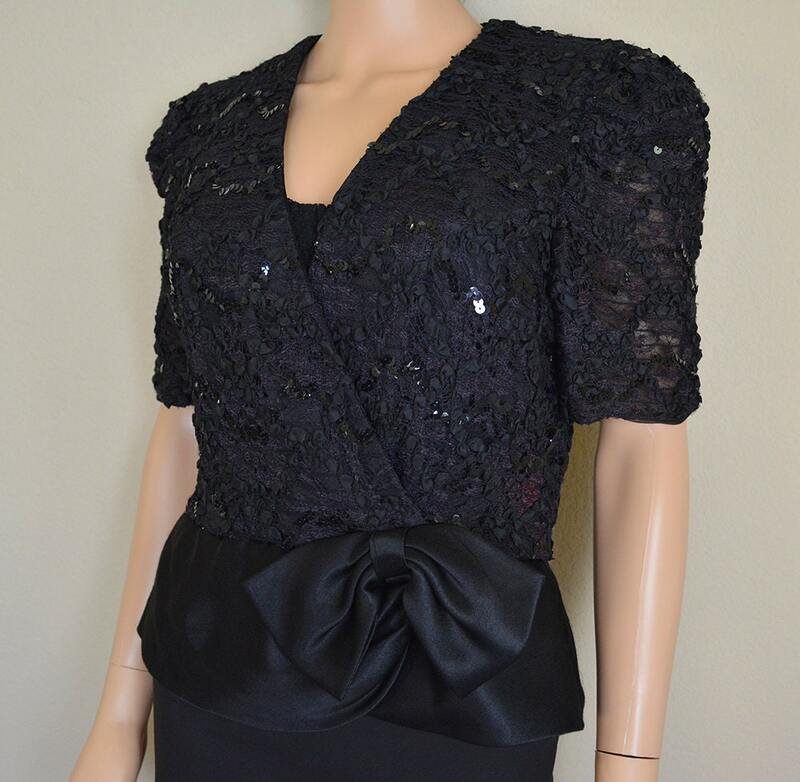 This blouse is in very good vintage condition. Size: 10, but may run a bit small. Please see measurements below.